You could almost hear the collective glee of social justice warriors and identity politics aficionados this weekend when a video emerged that appeared to show a teenage white boy in a Make America Great Again red cap smirk disrespectfully as a Native American stood in front of him—beating a drum—at the Lincoln Memorial. Finally, they had a piece of proof that supported their cherished narrative: that most Trump supporters were bigots and racists who backed the wall and other initiatives because of their racist views. The crowd members’ names don’t matter, any more than the names of the crowd members you see in the photo below, from North Little Rock in the 1950s. 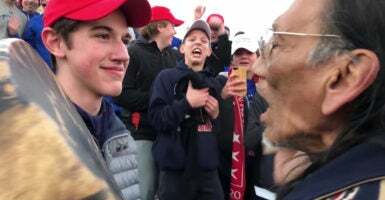 The young men from Covington Catholic High School should know that they will be immortalized, the way the angry young white people you see below were: as a group, a movement, a problem, beyond their identities as individuals. But now new evidence has emerged that has made the story considerably more complicated, no matter the wishes of some liberal activists to live in a world where white MAGA-hat-wearers are unquestionably evil. I was not intentionally making faces at the protestor. 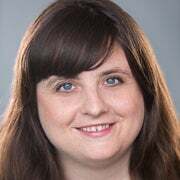 I did smile at one point because I wanted him to know that I was not going to become angry, intimidated, or be provoked into a larger confrontation. I am a faithful Christian and practicing Catholic, and I always try to live up to the ideals my faith teaches me—to remain respectful of others, and to take no action that would lead to conflict or violence. In fact, reading Sandmann’s full statement, it becomes clear, if he is being honest, that he did nothing wrong. While Nathan Phillips has told the media that he heard chants of “Build the wall” and “Go back to the reservation,” I at least haven’t been able to find any video that backs up these assertions. (There is, however, a video in which you can clearly hear the Covington Catholic High School boys told to go back to Europe.) Sandmann denies that anyone he heard used racist language. Some media outlets are reporting students did a “tomahawk chop” gesture; not being a sports person, this was the first I heard of it. Given that the students were doing school chants and apparently this is still done at some sports games, it seems a little extreme to assume this was intentional racism. In good news, the media has widely reported Sandmann’s statement and the emergence of more video footage. Swisher has apologized, as did actress Jamie Lee Curtis. I was a complete dolt to put up this and several other obnoxious tweets yesterday without waiting to see the whole video of the incident and I apologize to the kids from Kentucky unilaterally and also for using that clip to make another point about, of all things, a razor ad. But not all were willing to back down and acknowledge the story was not black and white, and the rush to judgment of high school boys premature (a rush to judgment that unfortunately was no doubt fueled by the Covington diocese’s statement condemning the students). Whatever happened just before or after the three or four minutes most widely circulated on yesterday’s videos, those three or four minutes convey a reality that seems impossible to deny. For a sustained period, a large group of young men, who had chosen by their apparel to identify themselves with a political movement (and a movement whose leader uses ‘Pocahontas’ as an epithet and recently made a ‘joking’ reference to the massacre at Wounded Knee), act mockingly to a man their grandfathers’ age, who by his apparel and activities represents a racial-minority, indigenous-American group. In other words, it is impossible to wear a Make America Great Again hat—a hat that shows solidarity with the president of the United States—without coming off as racist and menacing. One of the worst parts of identity politics is the loss of individual justice. People become groups—and an individual’s own guilt or innocence beside the point. By virtue of being white, male, and Trump supporters, Nick Sandmann and the other teens were smeared—for an incident that involved no physical aggression, and disputes over what was said. Unfortunately, if our nation’s trend toward identity politics continues, this won’t be the last example we see of such mob injustice.